Jevelin is a mobile ready and versatile WordPress theme which is ideal to launch any type of professional or personal online presence. You can setup fresh and modern business websites as well as dynamic online stores by using the included premium features. Jevelin is SEO friendly, RTL optimized and easily customizable in various ways. 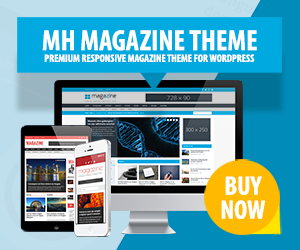 This modern WordPress theme also comes with more than 40 custom shortcodes to display your content nicely without the need of coding skills.